Mewar Festival celebrates the age-old customs and traditions of Udaipur in a grand style. Of the many festivals that mark the advent of spring, none is more colourful than the Mewar festival celebrated in Udaipur. Happening from April 6-8 this year, the three-day festival draws not just locals from the adjoining villages but also travellers from all across the world. If you wish to see the glorious traditions of Rajputana brought alive, this is the time to head to the beautiful city in Rajasthan. Coinciding with Gangaur, the Mewar festival immerses the whole city in vibrant colours, bright lights and other decorations. Preparation for this festival begin months in advance, with the entire city buzzing with activity as the festival draws near. The festival holds a special significance for womenfolk and offers them an opportunity to dress in their finest clothes and join in the celebrations. To conduct the ceremony, women assemble to dress the idols of Isar (Lord Shiva) and Gangaur (Goddess Parvati). 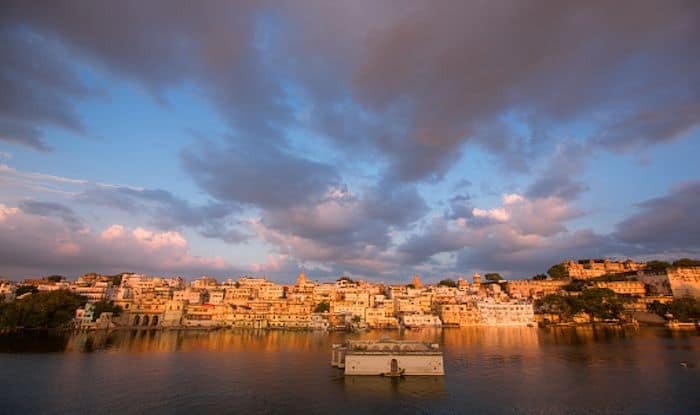 After dressing the idols, they carry them in a traditional procession, that starts near the clock tower, goes through different parts of the city and ends at Gangaur Ghat of Lake Pichola. At this point, the idols are transferred onto hundreds of special boats, that sail away gently in the deep waters of the lake. This is a beautiful sight to behold, and is the highlight of the entire festival. That is followed by a number of cultural events, including various dance forms such as Ghoomar and Kalbeliya. The traditional songs sung by the local bards welcome and enthral the audience. The festival is brought to an end with an impressive display of fireworks on the last day. What’s unique about the Mewar festival is the sense of legacy that’s associated with it. The ceremonies and rituals associated with the Royal House of Mewar have passed on for seven and a half decades; and takes place with the same pomp and grandeur as they did 75 years ago.